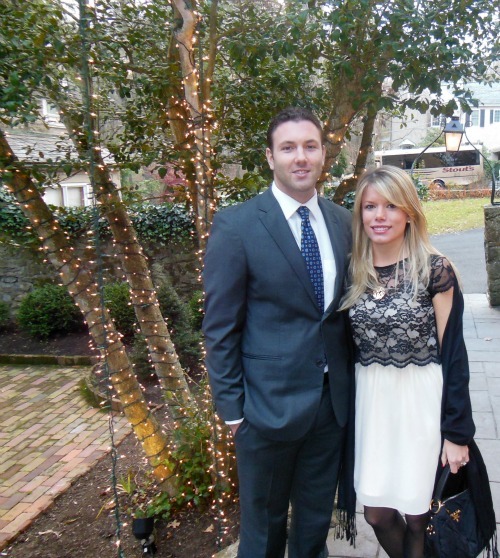 Last weekend Ted and I traveled to New Hope, Pennsylvania for a wedding. 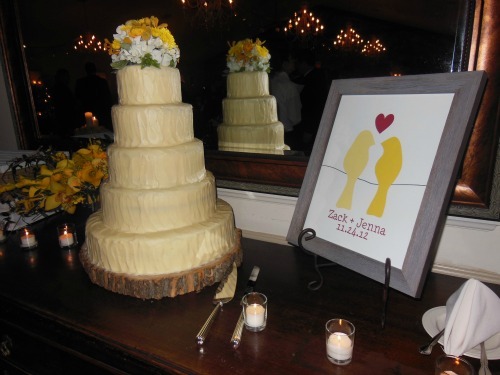 It was rustic and beautiful! 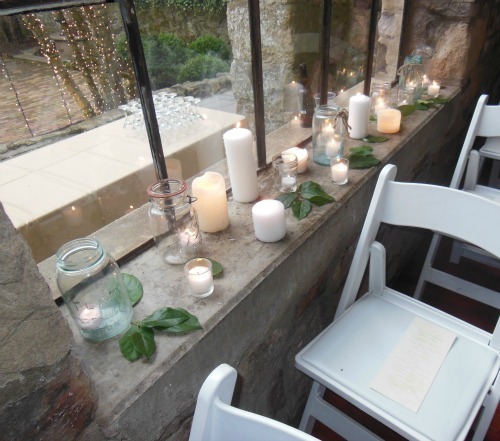 Mason jars with tealights and candles lined the ceremony site windowsills. 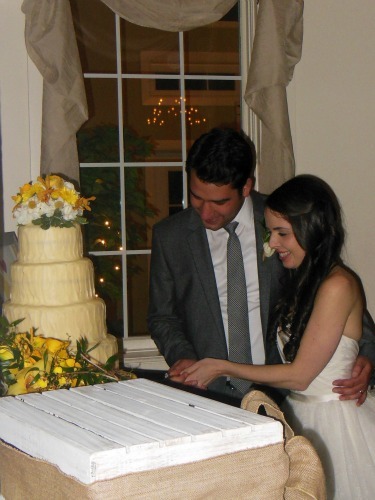 The newlyweds, Zack and Jenna, cutting the cake. Vest: C. Wonder. Scarf: Burberry. Sweatshirt: Kohl's. Necklace: Max & Chloe. Leggings: Target. Boots: Tory Burch. 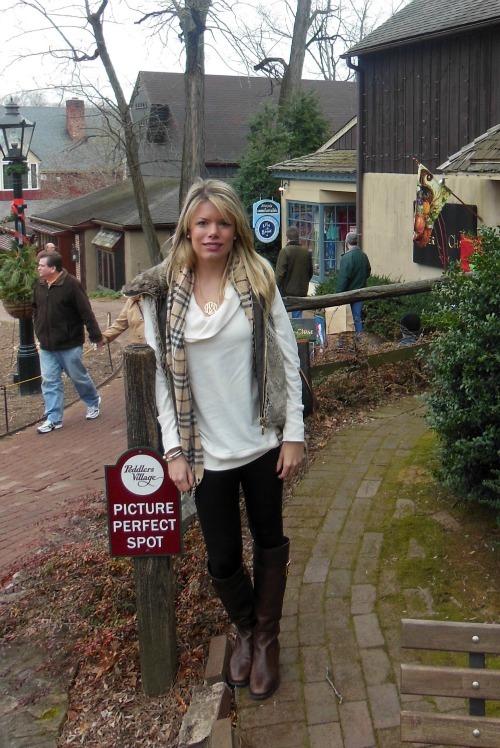 Before heading back to Connecticut we walked around the shops in Peddlers Village. 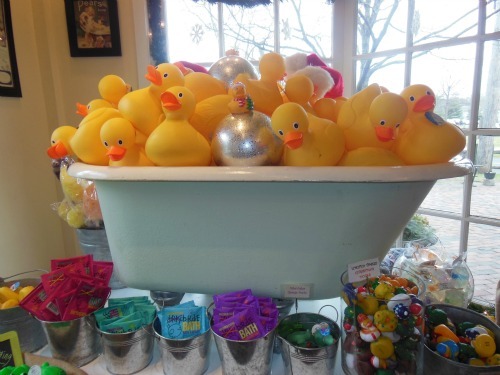 On our way to the wedding the day before I spotted this bathtub of rubber duckies in a store window. I made a mental note that I needed to find it the next day. 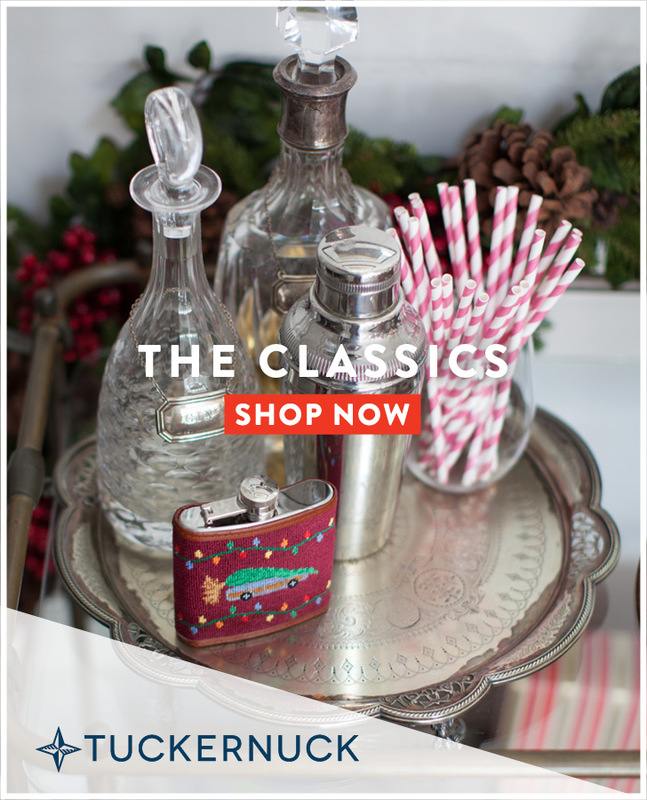 I was attracted to this product because it was made locally and natural. It smells amazing and I loved the way my hands felt after. 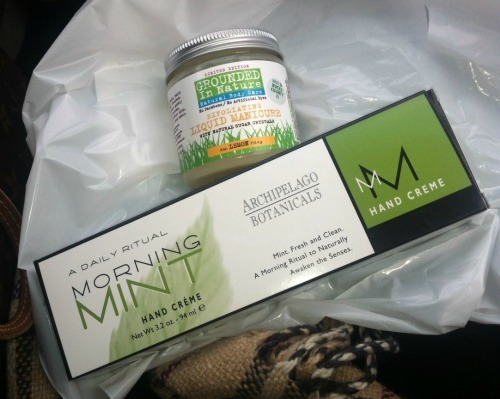 I splurged on this creme since I was in need of a cold weather combat for my hands. It's a light silky layer of protection. We passed so many Christmas tree farms on the way back. I wish we had come prepared to bring one home. You have the cutest outfits, all the time. 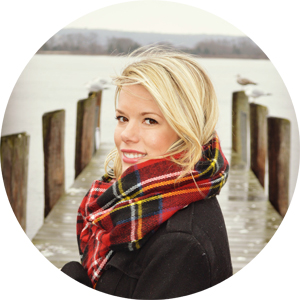 I want your wardrobe! Sounds like a perfect weekend. they actually just opened a C wonder in a mall relatively close to New Hope! Okay, I'm buying that sweatshirt. Such a good basic. And I need details on your stunning dress!